An indoor bowling season that started last October has finally closed. 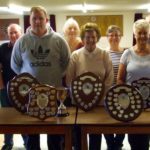 About a week ago the Stronvaar club hosted the ladies’ and men’s open singles competitions and held the winter prize giving. 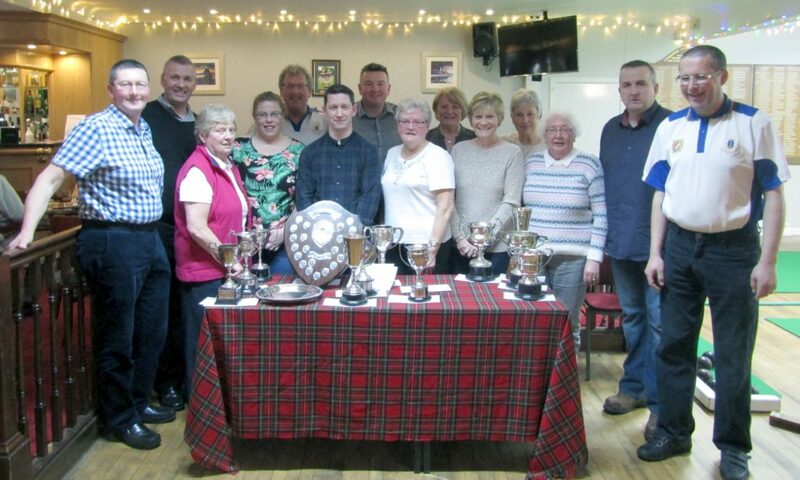 The ladies saw Susan Gilchrist defeat Catherine McEachran to take their trophy and the following night David Brown saw off the challenge of Bobby Dalziel to take the men’s title. 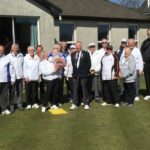 This was followed on Saturday March 23 by the prize giving of the season’s trophies with the men’s competitions dominated by David Brown and the ladies’ by Catherine McEachran. 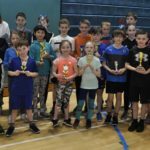 The full list of winners and runners-up is as follows: Men’s section: Championship: David Brown, runner-up: Hugh McCorkindale. John Bannatyne Cup: David Brown, runner-up: Catherine McEachran. Ian Johnston Cup: David Brown, runner-up: Hugh McCorkindale. B and D Cup: Archie Johnston, runner-up: Hugh McCorkindale. Burnett Cup: John Mason, runner-up: David Brown. Men’s pairs: Alex Black and Angus Brodie, runners-up: David Brown and Alan McSporran. Mixed Pairs: Hugh McCorkindale and Catherine McEachran, runners-up: John Mason and David Armour. Monday pairs: George Allan and Katrina McMillan. Tuesday league: David Brown. Ladies’ section: Championship: Catherine McEachran, runner-up Doreen McMillan. John Buchanan Cup: Catherine McEachran runner-up: Susan Gilchrist. Helen McArthur pairs: Catherine McEachran and Susan Gilchrist, runners-up: Roberta Lafferty and Jean Millar. Mixed pairs: Maureen MacInnes and Hugh McCorkindale, runners-up: Jana McPherson and Neil Maguire.